The ASEAN Tourism Forum is just around the corner on the calendar, and the city of Chiang Mai in northern Thailand is gearing up to host the event. It will take place Jan. 22-26 and will serve to showcase the latest tourism programs and products in the 10 nations that make up the ASEAN (Association of Southeast Asian Nations) membership. On the schedule will be the official ASEAN tourism ministers meeting, plus many gatherings of national tourism organization chiefs. The ATF will also provide the setting for the Travel Exchange (TRAVEX) trade fair, as well as nightly parties sponsored by the member nations and a schedule full of press briefings. ATF rotates between ASEAN member nations each year, and the host country selection is based on position in the alphabet. It’s Thailand’s turn this year, with Vietnam on deck for 2019. The other ASEAN member nations are Brunei Darussalam, Burma/Myanmar, Cambodia, Indonesia, Laos, Malaysia, Philippines, and Singapore. ATF is generally regarded as the best buying and selling platform for Southeast Asia’s tourism industry, and it returns to Thailand for the sixth time in the history of the event. The ASEAN organization celebrated its 50th anniversary last year. This year’s edition of the ATF will operate under the theme “Sustainable Connectivity, Boundless Prosperity.” The theme reflects the Thai government’s awareness of ASEAN as a mechanism for sustainable tourism development. This is the first time that Chiang Mai has hosted the ATF, and it will be a primary beneficiary of the event. 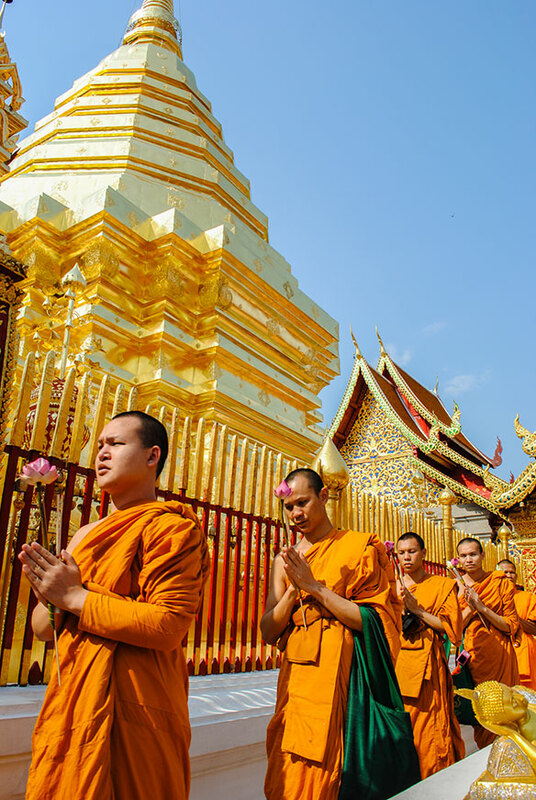 “Chiang Mai is Thailand’s second-largest city and the economic engine of northern Thailand. It remains one of the Kingdom’s must-visit destinations,” said Yuthasak Supasorn, governor of the Tourism Authority of Thailand (TAT). Chiang Mai was ranked 12th in the TripAdvisor Travellers’ Choice Awards’ Top 25 Destinations in Asia in 2017. Quieter and more relaxed than Bangkok, this former capital of the Lanna Kingdom exudes both historical and modern Thai culture. Having once been the centre of Buddhism in northern Thailand, the old city houses centuries-old pagodas and temples alongside modern stores and boutique hotels. Outside the city in the Thai countryside, travellers can visit ethnic tribes, elephant camps, cooking and massage schools, outdoor activity centres, and natural sights such as waterfalls and rivers. Outdoor adventure seekers typically flock to Chiang Mai for its hill tribe trekking, which is often combined with river rafting and elephant riding.